Sungrow, one of the worlds’ largest PV inverter manufacturers, says that its residential inverter shipments to Australia quadrupled in 2015, reaching approximately 50 MW. Sungrow had the largest market share of all Chinese inverter manufacturers in Australia. In February of 2015, Sungrow unveiled the Crystal Series, its new residential product which proved popular among end users in Australia, based on its sleek design as well as ease of installation and maintenance. 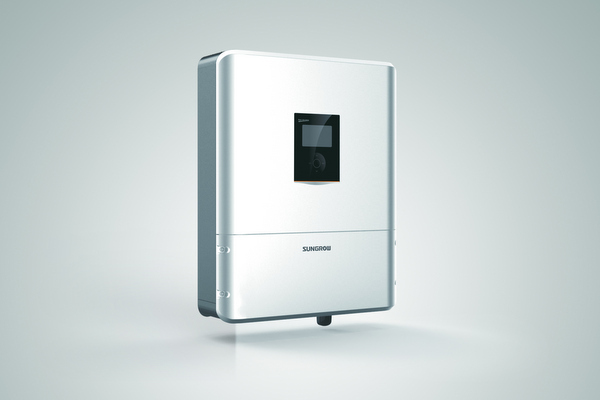 In October of 2015, Sungrow released the SH5K, a hybrid storage system. The SH5k sold out before a single product had been shipped. This high demand is based on its advanced design concept and superior performance. 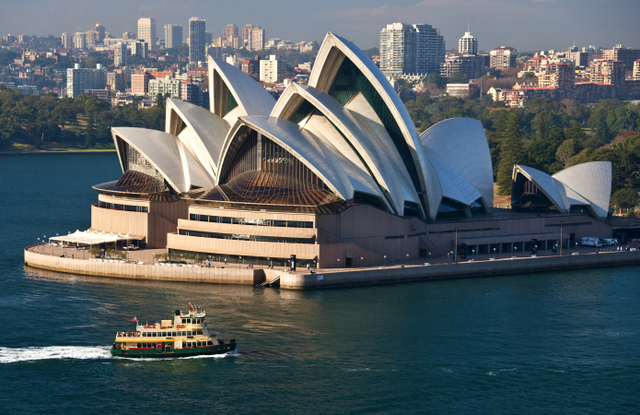 Currently, Sungrow has shipped over 100 MW of residential PV inverters to Australia. Founded in 2012, Sungrow Australia is located in the central business district of North Sydney. Its facilities include a warehouse, logistics centre, customer service centre and product showcase centre. With this rapid development, Sungrow Australia have built a professional team covering sales, technical support, after sales service and market research, comprehensively meeting customers’ demands with its well established service network in Australia. “We will keep focusing on the residential solar market in Australia and enlarge the investment in commercial projects in 2016. The solar market in Australia is expected to be stable and we will offer better products, solutions and services to local customers.” Professor Renxian Cao, the President of Sungrow said. As long as there has been an electric grid, companies have sought ways to safely and efficiently store energy so that it can be consumed on demand, output can be meticulously controlled, and the exact frequency of the energy distributed can be tightly regulated. In Australia, the emergence of cost effective distributed energy storage is a game changer in the electricity sector. It has transformed how electricity is being generated, transported and traded by enabling self-sufficient end user micro grids, fully utilized distributed networks and eliminating wholesale price hikes. The cost of energy storage has been the cause of this increment. The role of enabling technologies such as energy storage is becoming more important as Australia moves toward higher penetrations of intermittent renewable generation such as solar and wind power. In order for Australia to have renewable market efficiency and lower the costs, it is important to support the development of new markets for enabling technologies. Energy storage is perhaps the most significant enabling technology, providing the ability to both smooth and shift renewable generation to match demands. Residential Energy Storage system in Australia is giving the Australians a leeway to this problem. • Most storage technologies can operate at partial output levels relatively efficiently, and can respond to signals from the market operator very quickly compared to most other types of conventional generation. • A single storage device can be used effectively for both frequency raising as load increases and frequency lowering as load decreases; conventional providers can usually only offer one service or the other. • The volume of energy storage required would be well beyond what existing or foreseeable storage technology could offer. • Providing the service would require always having stored, i.e. undischargable energy, at hand, which would effectively reduce the storage device’s available capacity to every other application to which it might be put. One of Australia’s made energy storage device developer is Magellan Power. It is a WA-based developer of power electronics with a focus on distributed energy systems such as grid connected rooftop solar panels. They provide solar smoothing and solar export control devices and several lines of energy storage devices for home and businesses that are well suited specifically for Austrian conditions. This is the RES1 and RES3. They are approved for use anywhere in Australia. The RES1 offers 9.2 kWh of energy storage capacity for homes, while RES3 provides 13.8 kWh. Both of them are designed and built in Australia with Australian conditions in mind and can be installed anywhere including a garage, shed or even outside. Apart from the Magellan Power, Solari Energy’s SolaGRID Energy Storage System (ESS) is a stand alone energy storage system suitable for any sized solar energy installation. It comes with audible alarm safety device in case of faults. 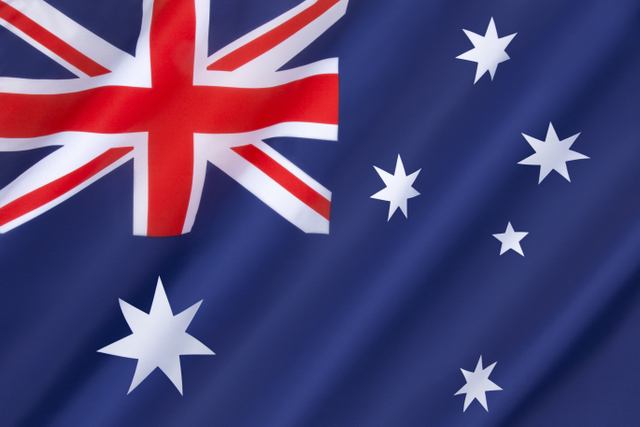 There are several commercial energy storage solutions available in Australia. One of them is the CESS. Commercial energy storages helps businesses reduce their reliance on the electricity grid, thus allowing them time allows to continue running appliances in the event of a power outage. CESS has a storage capacity of between 50-500 kwh. They range from incentives and vested interests in nature, lack of transparency/ asymmetric information, market signals and distortions, and competitiveness of storage. Don’t get too excited if you don’t live in Australia or New Zealand, but Enphase Energy, a global energy technology company, has unveiled its Enphase Home Energy Solution, an integrated solution combining solar generation, energy control and energy storage. The award-winning Enphase technology is an advanced energy solution that delivers a high return on investment and greater reliability to the system owner. The fifth-generation Enphase S-Microinverter is a powerful, smart solar energy inverter that simplifies installation and delivers market-leading quality and reliability with a design that is inherently safer with greater energy yield. Designed to pair with high-powered modules, the S-Series Microinverter delivers a significant reduction in cost per watt and minimize homeowners’ and installers’ risk in an environment of changing grid standards. Envoy-S Metered, a bidirectional communications gateway, empowers homeowners to control the energy in their home and enables more cost-effective and reliable installations. The Envoy-S Metered offers consumption monitoring and is zero export compliant, making it ideally suited to solar PV systems in Queensland and New South Wales. Envoy-S Metered also enables system owners to rightsize their energy storage system to maximize the value of the energy from the owner’s solar system. With more than 20 percent of Australian homes already having installed solar and feed-in tariffs rapidly declining, economically viable energy storage is an attractive proposition that will accelerate the adoption of home energy management and storage. The Enphase AC Battery is a scalable, modular energy storage system that seamlessly integrates with the Enphase Home Energy Solution. It delivers high performance and superior reliability, allowing homeowners to achieve self-consumption or to simply store solar energy for use at times when grid-supplied energy rates are at their peak. For installers, the Enphase AC Battery provides lower upfront costs and higher lifetime value, especially for retrofits, where the economics are the best in the industry. From the perspective of utilities, the intelligent, networked Enphase AC Battery is a powerful vehicle for distributed storage models, since it incorporates Enphase’s signature fleet-level performance monitoring and remote upgrade capabilities. Enphase Enlighten is a cloud-based platform that connects the Enphase Home Energy Solution with smart devices for an intelligent home. 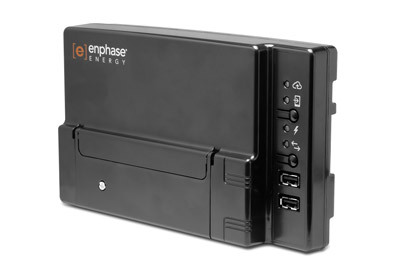 System owners use Enphase Enlighten to monitor their home’s solar generation, battery storage and consumption from any web- enabled device. System owners may also connect their Enphase system with other smart home apps, including Google’s Nest. We were mostly excited to write the headline, but here is the story: Solar photovoltaic (PV) became Australia’s largest source of renewable energy in 2014, with a cumulative installed capacity of 4 GW, overtaking wind power, which totaled 3.8 GW, according to research and consulting firm GlobalData. Renewables have become an integral part of the energy policy in Australia and, as a result, the government has introduced new policy instruments and efforts to attract investment in research and development and new projects. For example, in 2012, the government introduced a carbon pricing mechanism, to support a move to a low-carbon economy. The mechanism provided incentives for the reduction of emissions with a fixed annual price for three years. Although the mechanism was scrapped in July 2014 to support economic growth, tax liabilities for the applicable years have to be met in full. Siddhartha Raina, GlobalData’s Senior Analyst covering power, says that growth in Australia’s solar PV market has been a recent development and is largely due to policy support from the government, which has often included financial incentives. However, some regulations, such as National Greenhouse and Energy Reporting Regulations 2008 and the Australian National Registry of Emissions Units Regulations 2011, are currently undergoing amendments, and the Clean Energy Regulator has recently announced that it will hold the second Emissions Reduction Fund auction for carbon abatement contracts. “The government recently announced the revised Renewable Energy Target (RET) to support emission-intensive industries and slightly reduced the RET from 41 Terawatt hours (TWh) to 33 TWh. Despite this, new renewable energy capacity of 6 GW still needs to be installed by 2020,” Raina said. GlobalData’s report also states that while solar and wind power will remain key contributors to Australia’s renewable energy mix, bioenergy is set to become increasingly important. A 70-MW Moree Solar Farm (MSF) in Australia has begun to install the batches of solar modules provided by JA Solar since June. As MSF’s exclusive supplier, JA Solar will keep delivering JAP6-315 and JAP6-310 modules to meet all demand of 70-MW modules. Early this year, MSF was acknowledged by IJ Global as the best solar transaction of 2014 in the Asia Pacific region. The award recognizes excellence, achievement and innovation in energy and infrastructure finance. MSF is located 10 km south of Moree, in northern New South Wales. The project is owned by Fotowatio Renewable Ventures (FRV). Project financing totaling $164 million, including a $102 million grant from the Australian Renewable Energy Agency and $47 million of debt financing from the Clean Energy Finance Corporation, was secured in August 2014, and construction of the farm broke ground in November 2014.